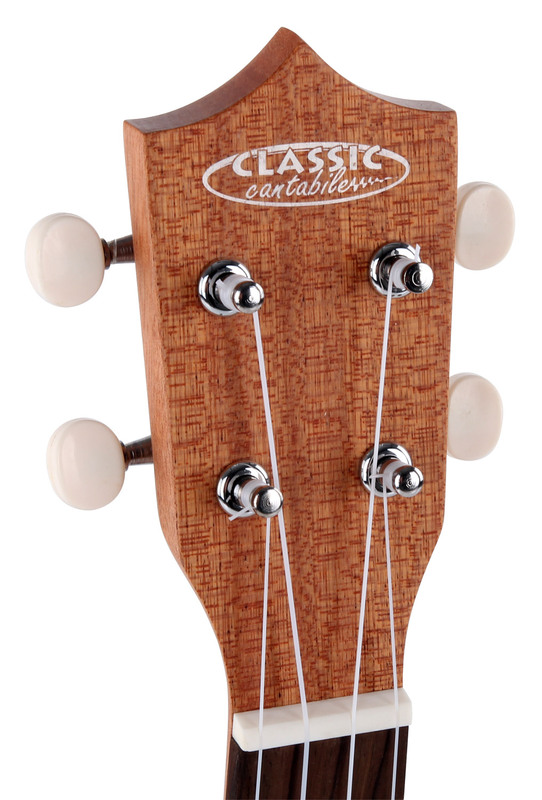 The neck of the Classic Cantabile US 400CE is made from select Okoume wood, back and sides from mahogany. With the smooth guitar mechanics, tuning the ukulele is a breeze. 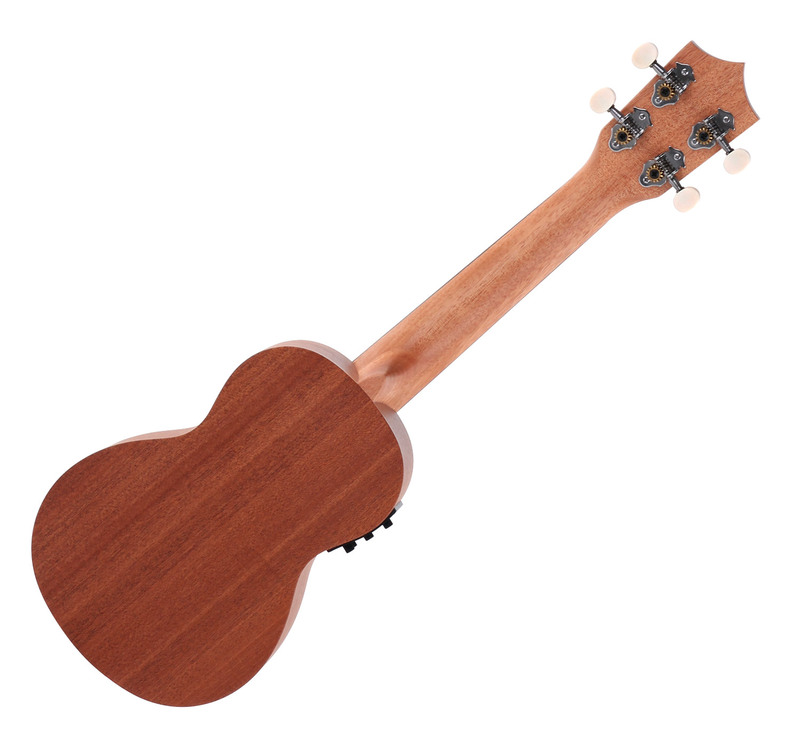 The ukulele is fitted with nylon strings. 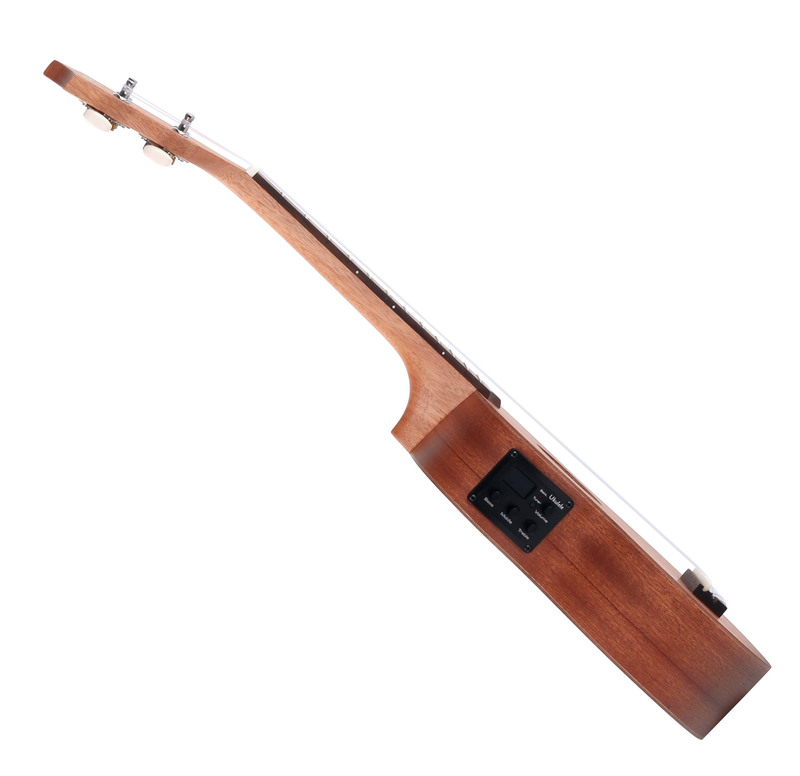 Due to the compact size it can be used perfectly as an instrument for traveling, as it can very easily be put in a backpack or gig bag. 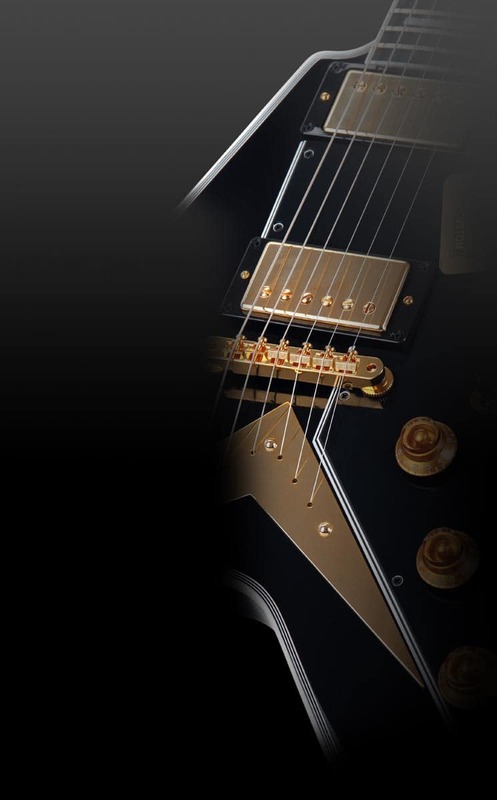 Included with the instrument is a pickup including 3-Band Equalizer (High / Mid / Low), and tuner. 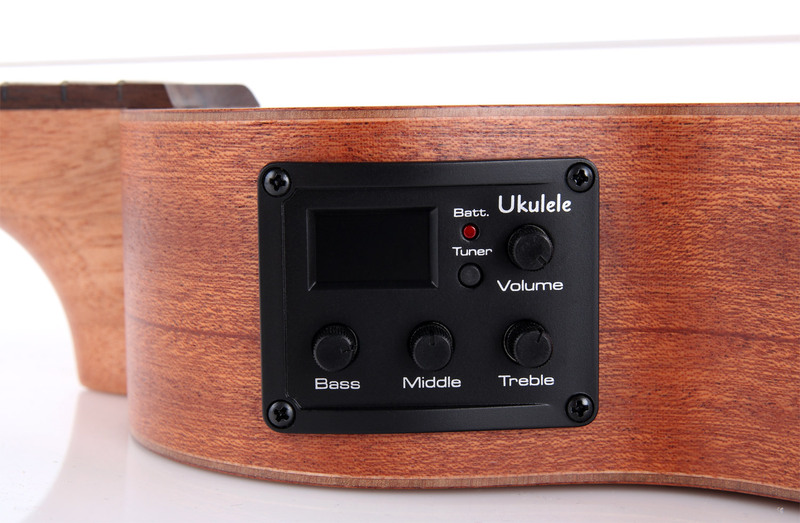 Thus, the ukulele can also be played on guitar amp/PA speakers. Originally brought by Portuguese immigrant Joao Fernandes in 1879 Braguinha, a local form of the cavaquinho, from Madeira to Hawaii. There it got the name "ukulele (jumping flea), which should reflect the impact of the Hawaiians at the sight of the rapidly moving fingers across the fingerboard of the instrument. Ever since Stefan Raab and "TV Total", the ukulele is a real cult musical instrument in Germany also!